A while back, I introduced you to a couple of our memorial pendants, and now we have added more of them! 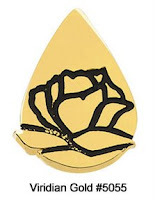 Our Small Gold Memorial Tear Pendants are elegant in their simplicity, with the symbol of the tear and the rose. 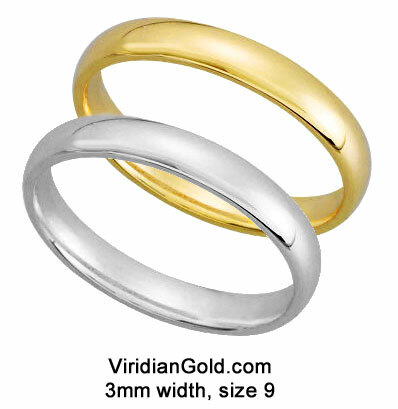 They are available in both yellow (pictured) and white 14K gold, as well as affordable sterling silver. 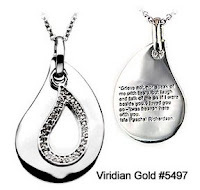 Another unique 2-piece memorial pendant is our rhodium-plated sterling silver "A Tear to Treasure" Pendant. This comes embossed with a moving quotation from Isla Paschal Richardson: "Grieve not, nor speak of me with tears, but laugh and talk of me as if I were beside you. I loved you so--'twas heaven here with you." 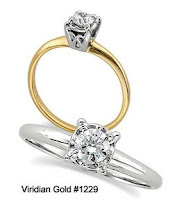 The Cubic Zirconia stones are mounted in a separate, open-design, tear-shaped pendant attached to the same ring as the larger solid pendant which contains the quotation. You'll find these, and other beautiful pendants, in our Religious and Family Pendants section! Late Gift? Let us send an E-Card for you!